The town's name derives from a word of the Slovenian dialect "pràpot" (fern), meaning the towns of ferns. It 's a municipality in the province of Udine, located on the border with the province of Gorizia. Well known for the variety, quantity, quality and production of fine wines, including the famous "Schioppettino", produced by a native vine. Traces of a settlement in the area are present since the Lower Paleolithic period. During the Bronze Age, the Italic population Euganei settled in the regions of Friuli and Veneto, that around year 1000 found themselves forced to abandon the areas, to give way to other tribes from Veneto, that gradually occupied the land. In 400 B.C. these inhabitants were conquered by the Celts, who at their turn, in 221 B.C, had to subdue to the Roman legions. With the fall of the Roman Empire, the territories were prey of the Ostrogoths and the Lombards. At the times of Charlemagne, the whole area was conquered by his troops; the Lombard King Desiderio was imprisoned and he proclaimed himself King. Then followed the invasions of the Hungarians and the ages of the rule of the Patriarchs of Aquileia, that at the times clashed with the Count of Gorizia. The first official document which reports the town's name is a text of 1161. In the XV century the town submitted the domain of the Venetian Serenissima Republic, until in 1866 it became part of the Kingdom of Italy. - Castle of Castelmonte in Albana, a small village near the Italian-Slovenian border, which was built in the XII century, around 1185. It was built on a rock and features a massive structure with a rectangular base and four corner towers, one of which has a rectangular base. 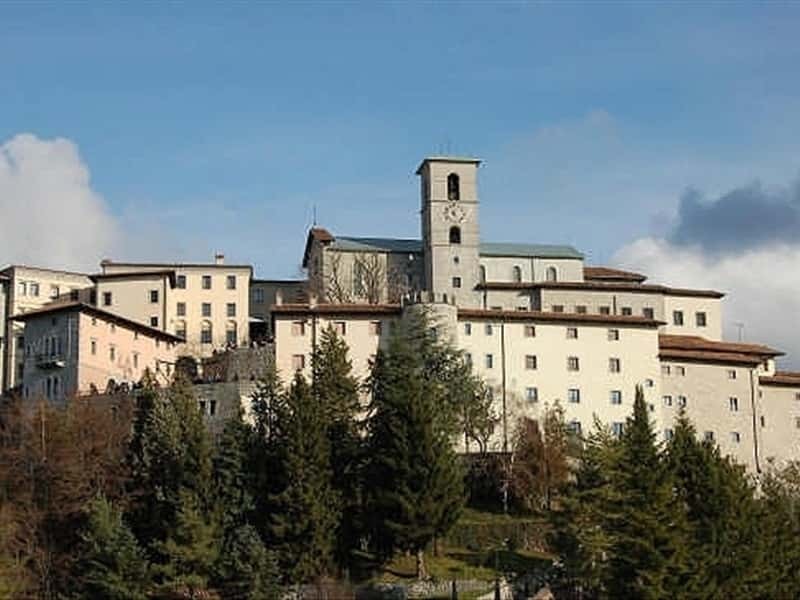 It was donated by Pertoldo of Albana to Church of Cividale, then it became property of the Count of Gorizia, who, in the XIV century, recognized the ownership of the castle to Ermanno Traburgo. In the XVI century, when the last Count of Gorizia died, without heirs, the town was subdued to the domain of the house of Habsburg. The castle suffered serious damages due to the battles against Austria and Venice and finally collapsed due to a series of earthquakes. The structure was restored, but lost its military functions to give way to more country residence appearance. This town web page has been visited 32,785 times.